Choosing a web developer to work with can be an extremely challenging process for any business owner, complicated immensely by the vast range of price points available for sometimes seemingly identical products. The cost of engaging a large agency could be enough to break many small businesses, while dealing with a $500 fixed price provider (in my experience) usually leads to disappointment. Jon and his group at Five by Five play in the important space between the two, providing high quality, effective websites at an appropriate price point. I only met Jon in person quite recently, however I've been familiar with the calibre of his work for quite a while now. He's a smart guy who knows his stuff, places the client front and centre, and delivers results. There's so much down to earth, quality advice going on in that head of his that I could write a book on it (oh wait, he already did that...). Instead I threw him the top five questions on my mind about web design, which he has answered below. PS. I'm trying to get Jon to join me on the Podcast so we can get more of this great content from him, so stay tuned for that. With Facebook, LinkedIn, and all of the other social media platforms, why does my business even need a website anymore? Your website should be home base. An asset you control and own. As an example, say you spent all your time, effort and money on building up huge following on Facebook. All it takes is for Facebook to move the goal posts (i.e. not displaying your posts in their feed anymore) and all your efforts have been in vain. Building a strong powerful website that have full control of is paramount. Ensure all your content is housed on your site (ideally on your blog) rather than a social media platform. The key is to use the social media platforms to drive traffic to your website. Once a visitor is on your website, try to capture their details through a compelling opt-in or offer. You can then build a direct 1:1 relationship which is not dependant on any other social media platform. With so many easy DIY options now available like SquareSpace and Wix, why does everyone still recommend using WordPress to build my website on? WordPress is an ‘open source’ content management system. It is used by millions of businesses around the world. It is free to download and use and can be housed by most hosting companies. You can bolt in ‘plugins’ to extend the features of your website. All its files are free to use, customise and enhance. It can be packaged up and moved around with little hassle. This gives flexibility if a relationship with a web designer ever deteriorates. WordPress started life as a blogging platform but has evolved to a full featured, fully customisable CMS. It is very common, driving about 25% of all websites on the internet. Everything from complex websites, simple blogs and online shops can be powered by WordPress. There are hundreds of thousands of web designers who use it as their primary tool of choice. Finding a web designer and developer to help with the ongoing support for your website is very easy. If you are technically minded and like to get your hands dirty you can even do the majority of the setup and configuration yourself. Utilising templates allows the majority of the behind the scenes heavy lifting to be done for you, whilst still allowing exciting creative input from your design crew. Why would I hire a web developer to build my website when I can just do it myself with a free WordPress template? Surely it’s not that hard to do. There are so many different ways to get your website built. And sure, you can try to build it yourself. Depending on your skill level, you might be able to get it pieced together. Full credit to you! As WordPress is infinitely customisable, the challenge will come when you hit a roadblock or technical hurdle. In addition, WordPress requires ongoing maintenance and upkeep of the content management system and associated plugins to ensure they remain secure. The other option is to partner with an established web designer or digital agency. In my opinion, small business owners are best suited working with an agency due to the different skill sets a team can bring to the table. By working with an agency with a team, you reap the benefits of each person focusing on their individual skills such as project management, design, development, copywriting, photography and video. This gives you the leverage of a team and no single ‘break-point’. If something breaks, you have a fallback of team that can solve your problems. I need my website to bring me more clients. What are the key things that I need to pay attention to for that to happen? Gone are the times when it was as easy as knocking up a pretty five-page website, inserting a few pictures, stuffing it full of keywords and hoping that you end up on the first page of Google. Google has evolved. It is much smarter and can’t be manipulated. You see, Google wants to provide the best quality results and experience to its users. And that means filtering out all the junk websites and only focusing on sites that provide great quality content. Search engine optimisation (the process of making your website more visible in Google) is largely down to two factors – how your website has been constructed (on-site optimisation) and the content contained within. A website gives you a platform to create and distribute content at virtually no cost. 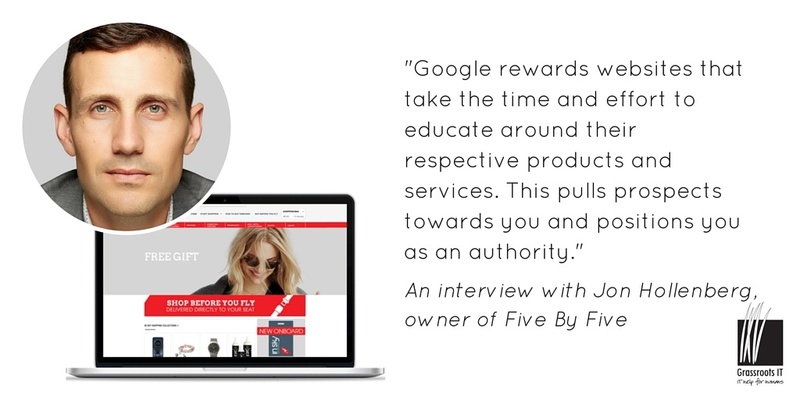 Google only wants great quality content and rewards websites that take the time and effort to educate around their respective products and services. This pulls prospects towards you and positions you as an authority. Build your site full of great content which actually solves your customers problems and clients will naturally come! What are the current design trends for websites in 2015? Great question. But why bother with design in the first place? People form an opinion about a company based on the signals it conveys. On the web, the window of opportunity is limited, with visitors choosing whether to stay or move on in less than three seconds. Good design is good for business and, in a competitive online environment, you have to make an impact. Large background images utilising high quality photography are being used extensively across sites. This typically exists in a large “banner” style image area above the fold. There is a vast array of great quality, affordable imagery available. Alternatively get a professional photo shoot done for your business. Invest the time and energy in good quality imagery. Stay away from cheesy stock photography! Bevelled edges, gradients and shadows are all out! Flat design is more focused around a minimalist approach to colour & layout. The primary purpose is to focus on the functionality of the interface. What is the one thing you want the visitor to do on your website or interface? The end result is very clean, crisp and simple website interfaces. Mobile is booming. And your site better be mobile responsive. 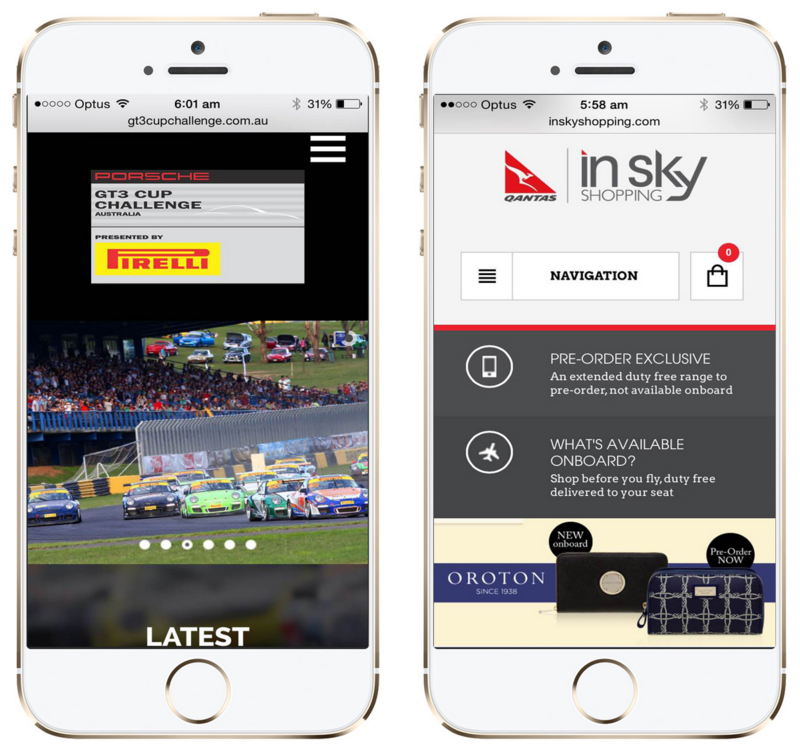 Responsive design reformats your website ‘on the fly’ to give the best viewing experience. Common characteristics of a website built in this manner are large fonts, easy to use navigation and not having to pinch and zoom. The website adapts or ‘responds’ to the type of device which is accessing it. This means you only build one website that looks great and adapts gracefully to every type of device. From a large desktop monitor, through to a medium tablet-sized screen and then down to a small smartphone screen. There is no better way to tell your businesses story through video. Video is such a powerful way to build trust. Prospects can look down the lens and immediately form judgements on your business' products and staff. They can see whether you are a person they would like to do business with. It is a great way to build rapport and leverage your sales staff many times over (without them having to give the same sales presentation over and over again). It allows for a more intimate connection and adds another touch point to the potential sale. Shoot a documentary style two minute video about your business and have this front and centre on your homepage. Jon Hollenberg owns Five by Five, an Australian web design business. He has delivered thousands of websites for clients such as Qantas, Jeep and the Currumbin Wildlife Sanctuary. 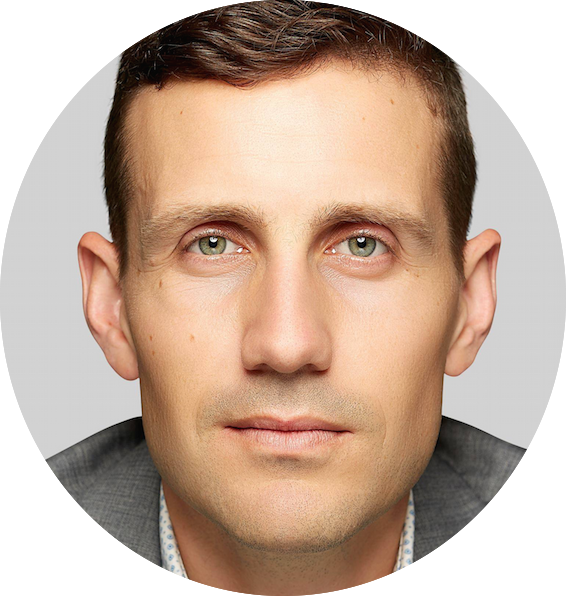 He is passionate about working with business owners to realise their potential by using online tools as a massive leverage point in their business. Prev: Moving to a new office? Don’t sign the lease before you check these 5 things.